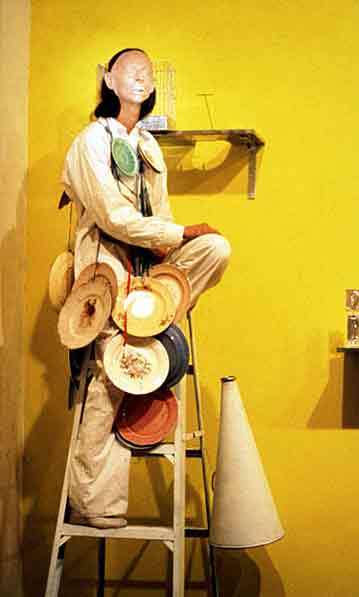 Autobiographical performance using objects, masks, costumes, slides, film, and audiotape. It concerned the conflicts I felt living in between two cultures, Greek and American. Shown is slide of the Empress Theodora superimposed over my own face. So, in one afternoon, I was transformed from a Gypsy wore to a Greek virgin and bride. Sort of like Theodora, the one-time prostitute who became the Holy Empress of Constantinople.